33.3% of high growth companies are adopting AI. ‘AI Pulse’ is a global Microsoft initiative designed to establish the attitudes and intentions of senior executives around the world towards artificial intelligence. 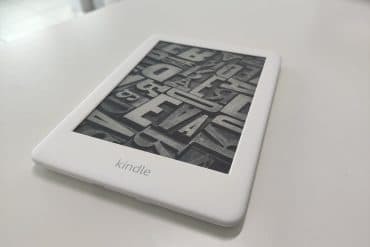 The report is the result of widespread research across the US and EMEA of senior-level decision makers from dozens of industries. The study also involved inputs from many renowned experts in the fields of leadership, including Susan Etlinger, Industry Analyst with Altimeter Group and Heike Bruch, Professor of Leadership at Switzerland’s University of St. Gallen among other Microsoft Data Scientists. “UAE AI strategy 2031 is marking a new level of innovation and the government is significantly investing in the latest AI technologies and tools to enhance performance, efficiency and fuel growth. Microsoft strongly believes that AI technologies will have significant impact on what good leadership will mean for future generations, and that sparking conversation now about smart solutions will allow current private and public organisations to take proper stock of the implications of various technologies,” said Sayed Hashish, Regional General Manager, Microsoft Gulf. Respondents’ organisations were divided in two categories: high-growth companies, with double-digit growth and lower-growth companies, with single-digit growth. Each company’s AI maturity was then defined as either: waiting, exploring, experimenting, formalising or integrating. It was found that 38% of high-growth companies worldwide are either at the “formalising” or “integrating” maturity levels, but only 17% of lower-growth companies were at those levels. UAE leaders were polled in late February 2019 and it was found that 47% of higher-growth companies and 15% of lower-growth firms in the country were in the latter two stages of AI adoption. With higher-growth companies, this represents a significantly higher AI maturity than the global average. UAE organizations also showed a marked lead in proactiveness in adopting AI solutions, when compared with global peers. Some 70% of double-digit growth companies in the UAE intend using AI within the coming year to improve decision-making, as opposed to 46% worldwide. Some 45% of UAE lower-growth firms intend AI adoption for improved decision-making this year, again outpacing the global average of 31%. UAE companies also outpaced the global average in timescales when other AI use cases, such as process optimization and the development of new products and services, were analysed. it came When to leadership issues, respondents were broadly split over business priorities, with no clear preferences emerging from the global poll. However, UAE leaders showed a greater degree of certainty, with 38% selecting the evaluation of success as the top priority for time investment. The prioritization of goals and initiatives was tied among UAE leaders for second place with the processing of facts and information, each receiving endorsement from 30% of UAE respondents. 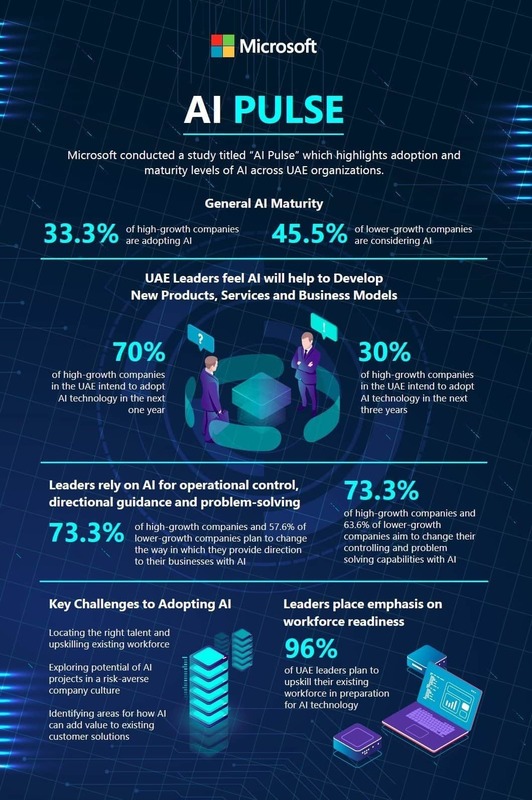 Most companies of either type in the UAE believe AI will have profound effects on many aspects of future leadership, including overall control, problem solving and providing direction for the workforce. While 78% of double-digit growth companies worldwide and 70% of others support reskilling measures to ensure that they are prepared for the AI future, in the UAE almost all leaders (greater than 97%) said they supported such measures. And when quizzed about ethical AI, just over half of UAE organisations agreed that the issue was one for corporate leadership to address. The report also highlighted key challenges related to AI that leaders see ahead in their journey. 56% believe that choosing the right talent or upskilling the current workforce remains a hindrance. Only 42% leaders are willing to take the risks revolved around AI and 38% are yet to devise their strategy in order to add value in their customer engagements. Previous Hisense Debuts the 100-inch 4K UHD Laser TV.